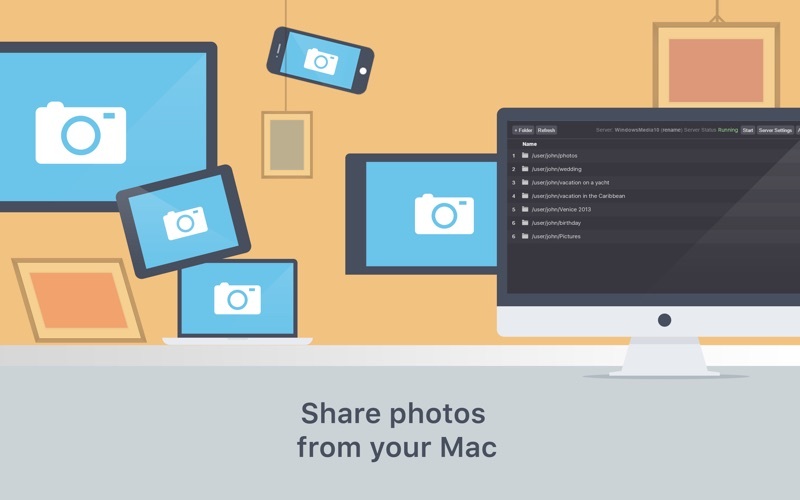 - meet Arkuda’ products family on Mac! 2.5+ millions users worldwide. 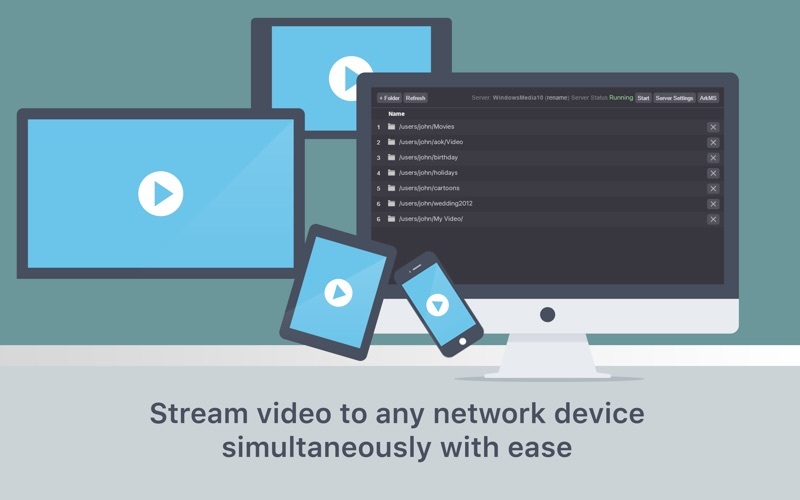 - The only application to stream all your media from your Mac to HD TV, iPhone, iPad, Mac, PC, AllShare TV, Xbox360, Xbox One, PlayStation 3 and 4 or any other DLNA/UPnP screen. - Very easy to use, straightforward menu to discover, select and stream all your movies, music, videos and photos - Simultaneous streaming of different media files – to different screens – at the same time (multi-screen playback) - Your HD TV can find & display your photo, videos, music stored on your computer - Enjoy stored HD Movies, videos and photos, on your TV or any other screen, without any wires or plugs needed - Stream music from your Mac on Wireless Speakers - And much more to come… without any extra costs A unique high-end media network solution, offering you the rich experience to stream & enjoy all your media, with just a few clicks on your Mac. Have fun with your friends and family and stream -to any screen- your favorite movies, videos, music or photos. 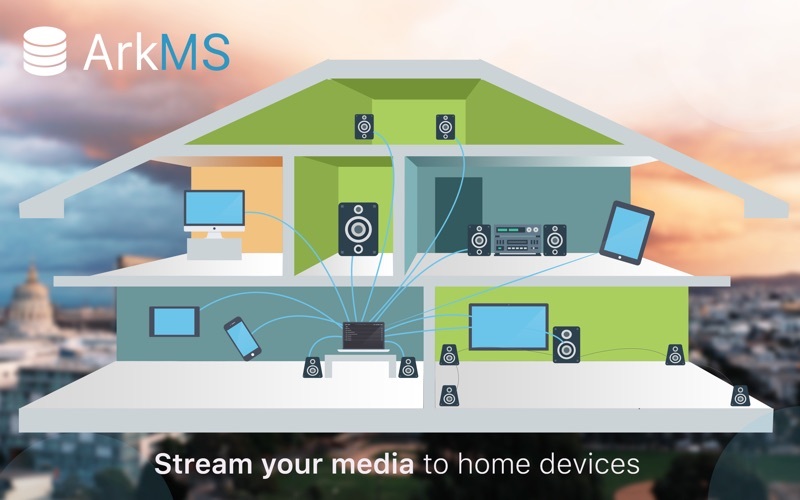 To share media files in your home wifi network, ArkMS offers the easiest user interface, with impressive performance and a list of unique features. 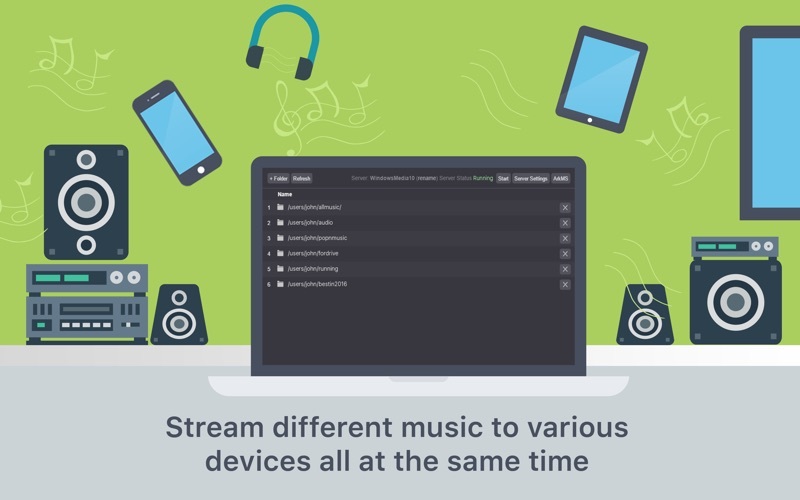 In a few seconds ArkMS connects a DLNA, Samsung Link and UPnP compatible display (TV/PC/TABLET/MOBILE/GAME CONSOLE) or music installations with the media stored on your Mac computer. The user interface is straightforward and offers complete control of your media files within your Wi-Fi home network. The enthusiastic and motivated Arkuda Digital team is dedicated to offer its customers the best experience and will continue to surprise ArkMS users with cool features and performance updates. If you have any suggestions, just drop a line and we will come back to you NOTE! Due to DRM restrictions, movies bought from iTunes service, cannot be streamed to the other devices by this application. Sharing makes life Beautiful! Tested media Players: - Samsung TVs, Philips TVs, LG TVs, Panasonic TVs, SONY TVs - XBMX Media renderers - WD TV Live - Windows Media Player - Foobar2000 media renderer - XBOX 360, XBOX One - PlayStation 3, 4 Please note! The limitation of FREE version is 5 items available per folder.